Bujanovacka Spa is located 3 km south-east of Bujanovac, 13 km south of Vranje, 370 km away from Belgrade – just next to the Belgrade-Skoplje-Thessalonica-Athens highway. The springs of this natural hospice are of only 395 m of altitude, at the foot of Mount Rakovac, so it had had the name of Rakovacka Spa for a long time before. The waters of Bujanovacka Spa belong to the category of carbon-acidic hypothermal waters (43 C). They are used as therapeutic means by bathing in pools or bath tubs or by spraying, while the healing bathing mud (peloid) is also applied. There is a basis for the claim that these waters had been used in the time of ancient Romans and then in Middle Ages as well. In the time of Turkish rule, the spa was called Karaman (Black Mud) Spa and Buffalo Spa. 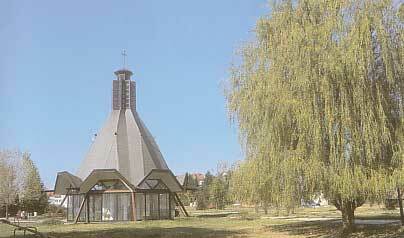 It is now ranked among the youngest spas in Serbia. Namely, it was not before the sixties of the 20th centuiy that detailed tests of its curative capabilities were conducted. After those, landscaping of the seasonal spa settlement began, together with raising of pools and accompanying buildings in the area where for decades there had been an uncultivated spa visited by numerous ailing people. The “Vrelo” Institute for prevention, curing and rehabilitation of disabilities is the promoter of the medical function of Bujanovacka Spa. It is capable of curing of a wide variety of illnesses, owing to its expert medical staff and equipment enabling application of the most up-to-date treatments. 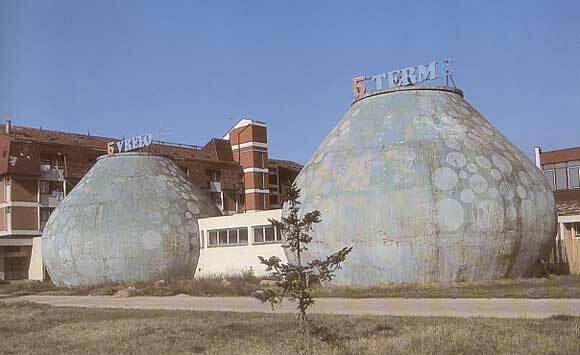 This medical institution uses in curing its patients not only the thermo-mineral waters, but also the curative bathing mud and natural gas -carbon dioxide. The peloid is used either raw or after having been cured, or as a mixture of cured mud and paraffin (palpheng), prepared as briquettes so that it can be used outside the Spa and at home as well. There are rich deposits of the curative mud in the very vicinity of the Institute, so it is also used for producing of cosmetic preparations. This Institute was the first in Serbia to introduce the natural carbon-dioxide gas in treating certain illnesses, especially those related to cardiovascular and peripheral circulation disorders of various etiology. Accommodation is provided in 200 beds of the stationary and hotel portions of “Vrelo” (B category), in the lodging quarters of St. Prohor Pcinjski Monastery (140 beds) and in private houses (500 beds).